UK wine agency Barwell & Jones has secured the exclusive distribution and marketing of Zorzal wines from Argentina. Founded by the three Michelini brothers (pictured) in 2008, the Zorzal winery is situated in the new, up and coming region of Gualtallary. 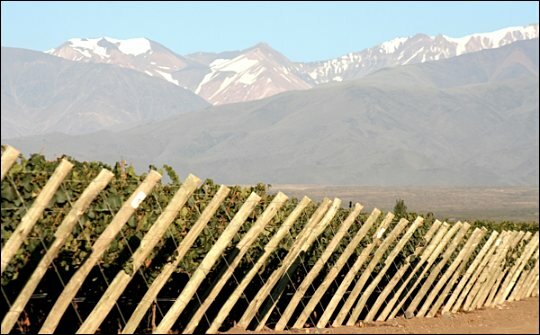 Located in the Uco Valley, which is considered Argentina’s most outstanding vine-growing area, Gualtallary is 80kms south of the city of Mendoza. At 1,350 metres above sea level, sitting at the foot of Tupungato volcano, one of the highest peaks in the Andes, this exciting region is characterised by its desert climate and chalky soils giving wines with great structure and delicious acidity. Juan Pablo Michelini seeks to produce wines that reflect this unique terroir, and are made using respectful, non-evasive winemaking, preferring fruit to oak and elegance to exuberance. Juan Pablo Michelini will be in the UK for the first time to present his wines at The Beautiful South tasting (11-12th September) and discuss his innovative winemaking techniques. The full range of wines, including the brand new top cuvées Eggo and Porfiado, will be available to try on the Zorzal stand.